(Pádraig Pearse; Irish: Pádraig Anraí Mac Piarais) orator, teacher, barrister, poet, writer, separatist nationalist and political activist who was one of the leaders of the Easter Rising in 1916. Following the collapse of the Rising, Pearse along with his brother and fourteen other leaders, were executed by firing squad. 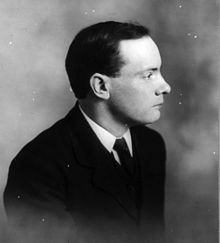 Pearse came to be seen by many as the embodiment of the rebellion. This page was last edited on 23 June 2018, at 13:05.